1. 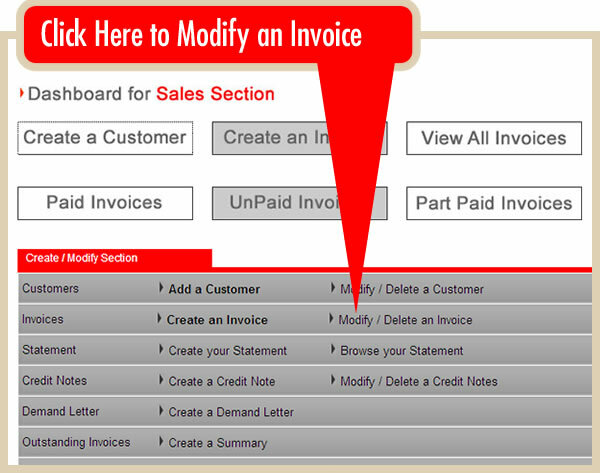 Once logged in, select the Sales Section and simply click on the 'MODIFY/DELETE AN INVOICE' link on the INVOICES line (See diagram below). 2. 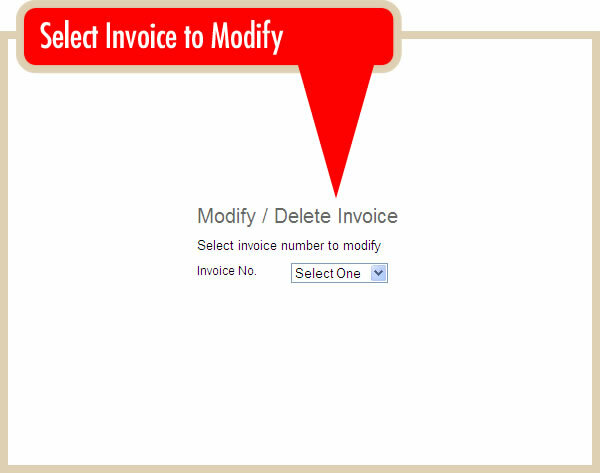 Select the Invoice to Modify (See diagram below). 2. 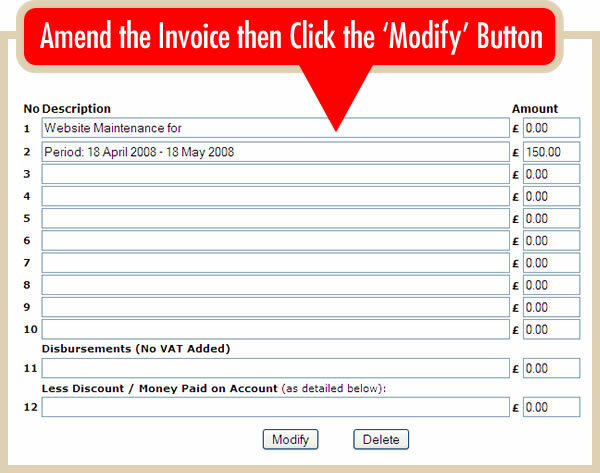 Modify the invoice as required and click on the 'MODIFY' button (See diagram below).